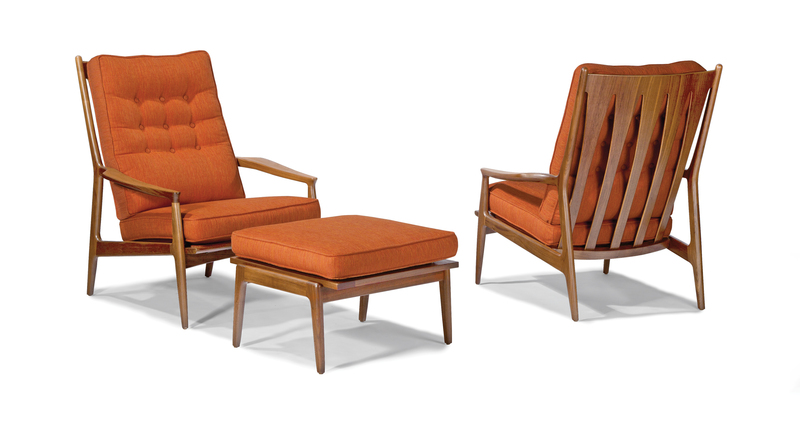 Designed by Milo Baughman in 1965, our Archie lounge chair is a midcentury modern classic. Featuring an exposed solid walnut frame and sumptuous tailored upholstery, Archie oozes modern style and provides leisurely comfort. Select any of our in-house curated fabrics or leathers for upholstery. Matching ottoman available as No. 1266–000.